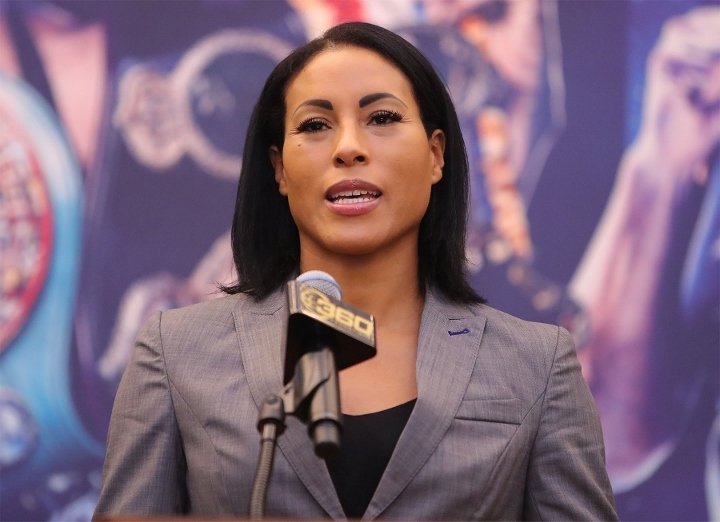 ‘The First Lady’ Cecilia Braekhus, (35-0, 9 KOs), is planning a big return to the ring following an extraordinary 2018 campaign filled with dominating victories inside the ring and a wealth of historical accolades outside. Based in Oslo, Norway, and undisputed welterweight world champion (WBC, WBA, WBO, IBF, IBO world titles) since September 2014, Braekhus, celebrated as the International Ambassador for Women’s Boxing, fought three times in 2018, twice in Los Angeles, CA and once in Moscow, Russia. In recent weeks numerous mentions of Braekhus in the worldwide media have been made for massive fights with unified lightweight world champion Katie Taylor and UFC Star Cris Cyborg.